This study developed range-wide population and habitat models for greater sage-grouse (Centrocercus urophasianus) that account for regional variation in habitat selection and relative densities of birds for use in conservation planning and risk assessments. The models demonstrate distinct clustering of relative abundance of sage-grouse populations across all management zones. On average approximately half of the breeding population is predicted to be within 10% of the occupied range. We also found 80% of sage-grouse populations were contained in 25 – 34% of the occupied range within each management zone. 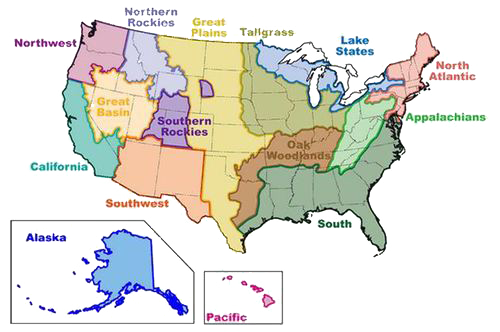 Range-wide population and habitat models account for regional variation in habitat selection and the relative densities of birds, thus they can serve as a consistent and common currency to assess how sage-grouse habitat and populations overlap with conservation actions or threats over the entire sage-grouse range.